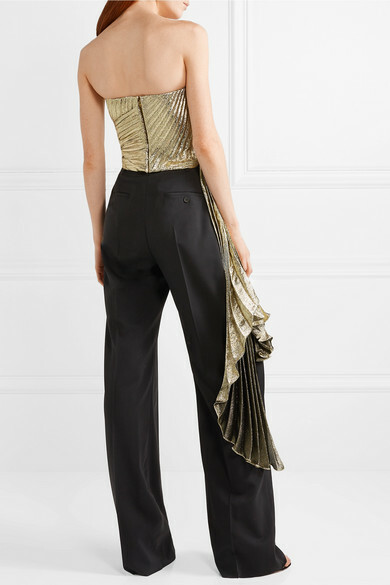 Reem Acra's bustier top proves you don't need a glamorous gown to make heads turn when you walk into a room. 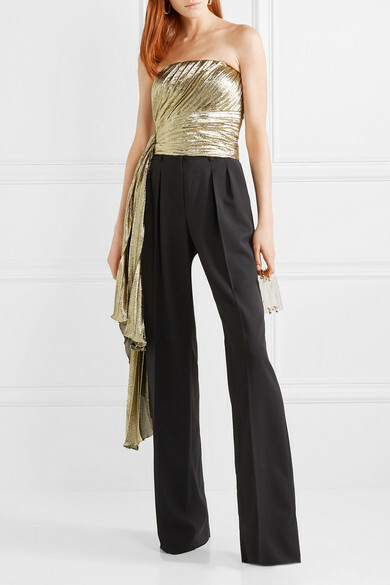 Made from silk-blend lamé, this strapless style is softly pleated throughout and has a cascading sash that appears to wrap around the small of the waist before draping languidly down the side. Wear it with tailored pants or a slim-fitting skirt. 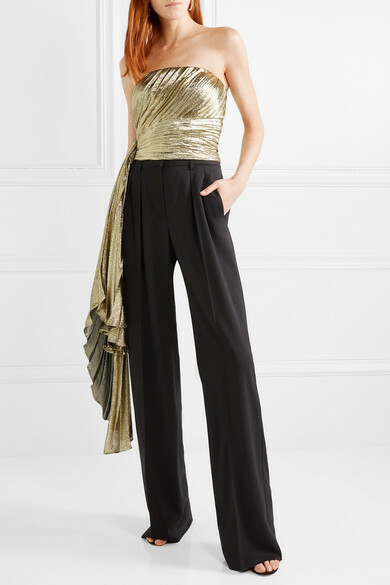 Shown here with: Max Mara Pants, L'AFSHAR Shoulder bag, Gianvito Rossi Sandals, Rosantica Earrings.